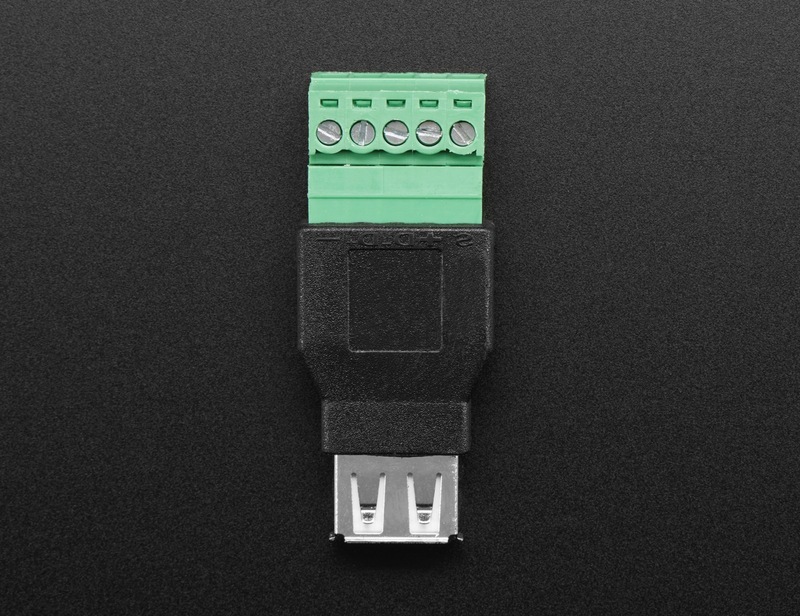 NEW PRODUCT – USB-A Female Socket to 5-pin Terminal Block « Adafruit Industries – Makers, hackers, artists, designers and engineers! 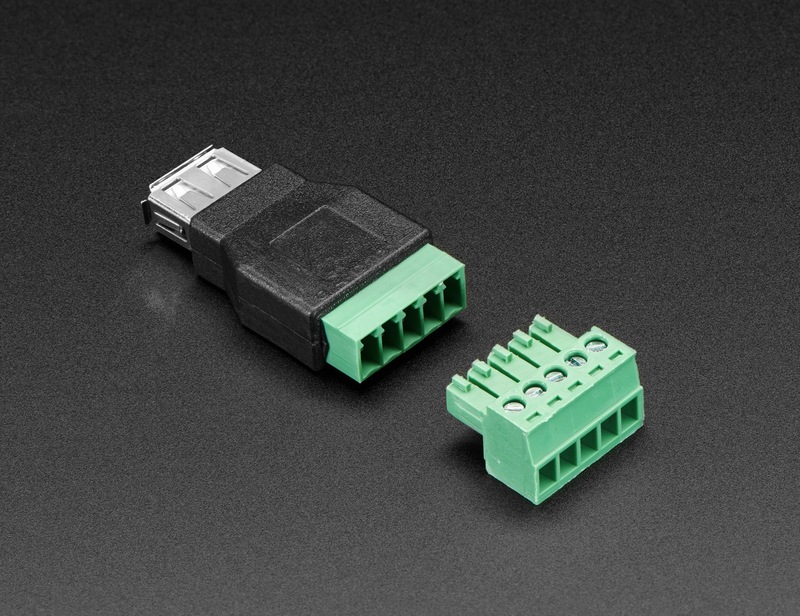 This is the USB-A Female Socket to 5-pin Terminal Block. 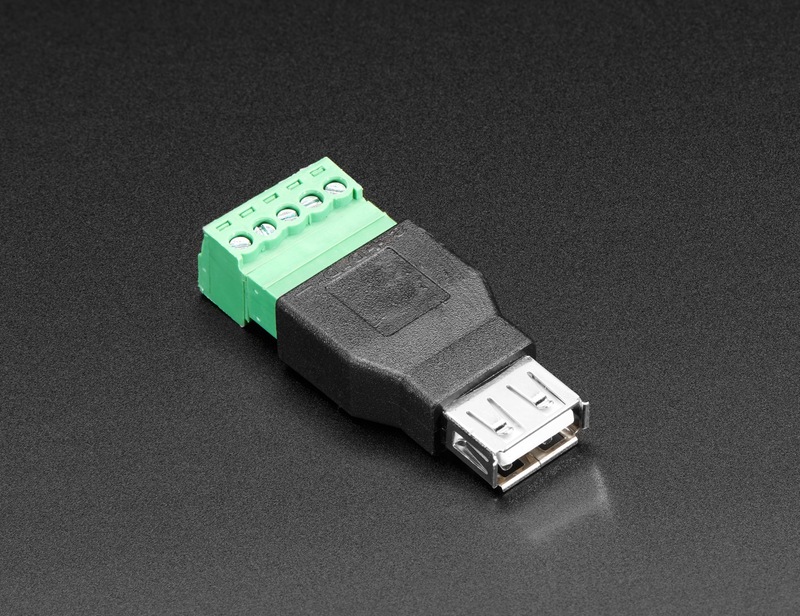 If you need to connect to a device with a USB Jack, maybe make your own USB host connector, extension cable, or custom cable of sorts – this adapter will come in very handy! No soldering required. 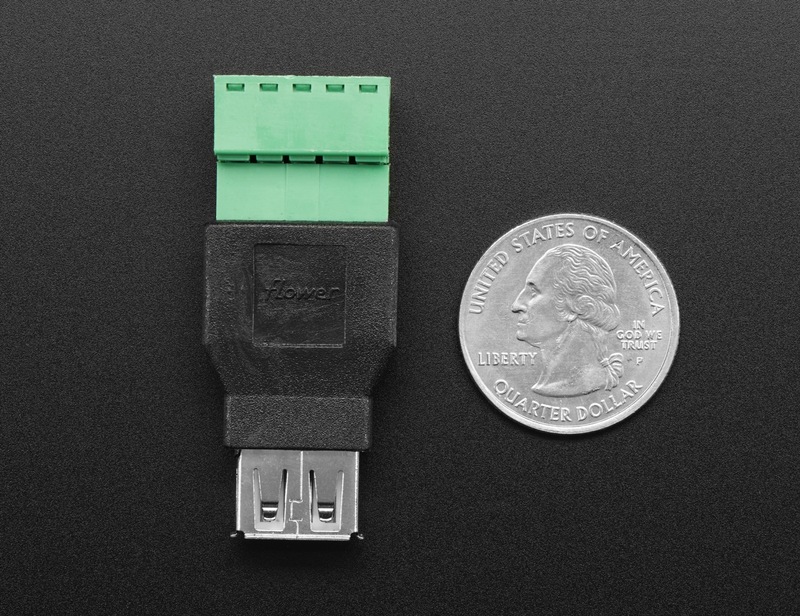 Just use a small screwdriver to open up the terminal blocks, slide in your stranded or solid-core wire, and re-tighten.